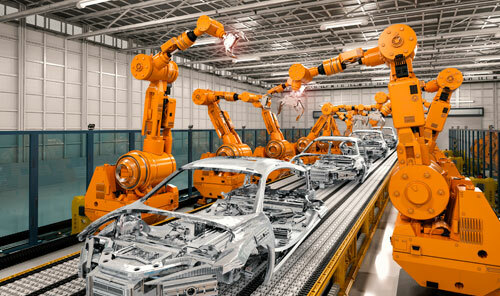 The automotive sector has undergone many changes and of great significance in a very short period of time. A transformation that only strengthens the need to establish intrasectoral collaborative alliances. The incorporation of alternative energy sources to fossil fuels, the application of new forms of production and management, or the interconnection of vehicles with the implications in terms of cybersecurity that entails, open a wide range of business and business opportunities. We have in our client portfolio leading companies in the automotive market. We provide a touch of own quality to the services provided. We know how to adapt to your needs. We offer a global vision with guarantees of success. WE WORK for the automation of systems and processes. WE IMPROVE data quality in business processes. WE HAVE the means for the provision of infrastructures. WE DEVELOP management systems and maintenance of assets in transport. WE PROVIDE solutions aimed at an effective management of emergencies and risk situations. WE HELP you in making the best decisions for your business incorporating Big Data, advanced analytics and KPIs. the best experts in the sector to our team. how to adapt to the particularities of your business. your company at the forefront of the market. your business while maintaining its characteristic features.